Alan Keith Tillotson, LAc. (Licensed Acupuncturist, Delaware), and Registered Herbalist has been practicing herbal medicine for over twenty-seven years, and is a professional member (R.H.) of the peer reviewed American Herbalists Guild. He holds an accredited Master's degree in Asian Medical Systems Goddard College), a non-accredited Ph.D. in Integrative Health Sciences IUPS), and is licensed to practice Acupuncture and Oriental Medicine in Delaware (L.AC.). He earned a teaching degree in meditation and Qi gong from the Jin Shan School of Taoist Meditation under Sifu Wang Yen-Nien. Alan began his apprenticeship study of Ayurvedic herbology beginning in 1976 in Nepal under Vaidya Mana Bajra Bajracharya. 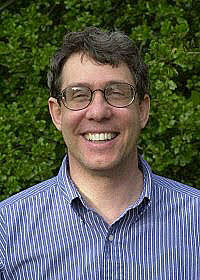 A link to the Ayurvedic textbook Alan Tillotson helped translate from Sanskrit is found here. 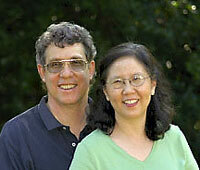 He has studied Chinese medicine in detail working side by side with his wife Naixin since 1991. In 1986 he opened and directed Delaware's first multi-specialty holistic health center, the Chrysalis Center, bringing together acupuncturists, nutritionists, MD's and various other specialists. He is the author of the Handbook of Ayurvedic Medicine (1985) and the 600 page textbook for laypersons and professionals, "The One Earth Herbal Sourcebook, which describes the theory and mechanisms behind effective integration of Chinese, Ayurvedic and Western herbs with modern medicine. An extensive online encyclopedic informational reference source on herbal medicine designed by Alan Tillotson for physicians and health care practitioners is at http://oneearthherbs.squarespace.com. More further information about Alan Tillotson as well as the Chrysalis Natural Medicine Clinic and The Tillotson Institute Of Natural Health go to http://oneearthherbs.squarespace.com.